Hubby’s Hat, originally uploaded by Craftydiddl. My first Finished Knit of 2008 is here!! Pattern: Ended up being a collaboration of mine and hubby’s. He decided what kind of stripes he wanted and how he wanted them. He picked how he wanted his flaps to be and the length of the ties-i did all th other math, measuring and knit the hat. UGh this was easy but at the same time drove me nuts. We originally has some yarn picked out from Germany but it was too thin. So we went to our LYS and got some different yarn. Originally i was going to use the Swell pattern from Knitty but i could not get guage no matter what i did on that pattern or any other pattern for earflap hats. So i finally decided it’s just a hat i can do this myself. I should have done that right from the beginning. There was quite a bit of ripping because i wasn’t happy with the look of the earflaps, but i finally got it. The hat part itself went fine until i was finished. The i realized it was way to tall. So RIIIIPPPP of more than half the hat. 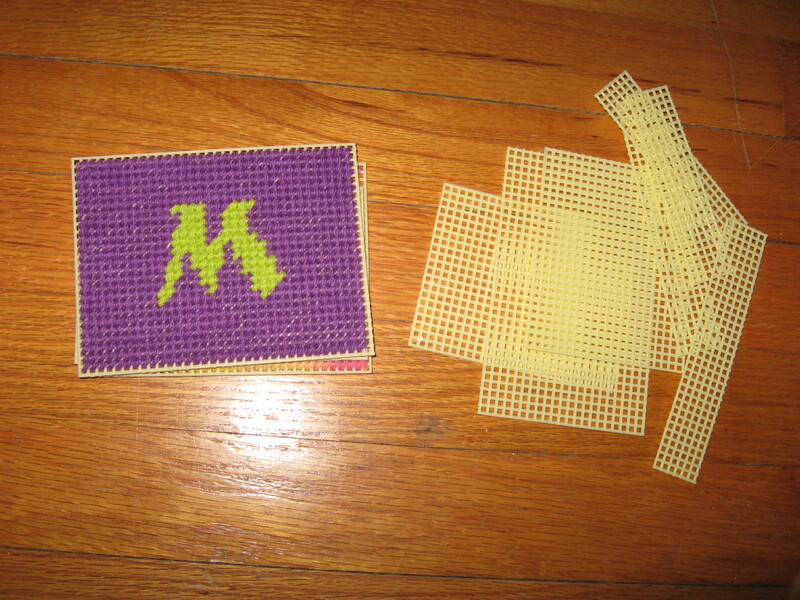 i had started decreasing to late in the hat but after i went back and re did everything it turned out perfectly! 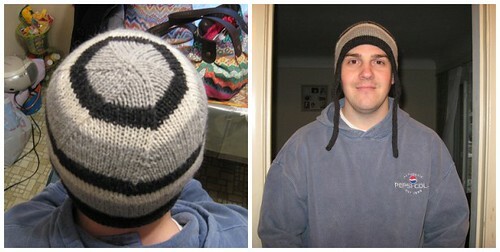 he did wear it over the weekend but naturally as is whenever you finish a Winter knit-It warms up. It feels like Spring outside today. Time: It took me about a week since i had to make so many adjustments. But i am happy that i took the time to work out the problems and fix the mistakes cause it looks really good. I love the hat! It looks wonderful on your husband. Aah look at hubby being such a good sport by modeling! The hats look good My! First FO of the year, wow! Congratulations! I like the top part of the hat, it all goes so nicely towards the top.